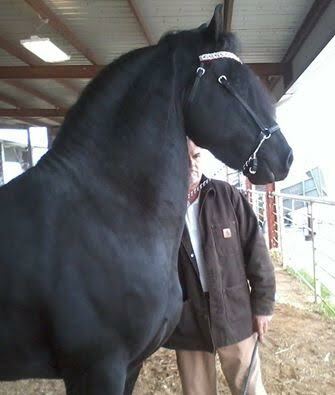 Warhorse Klaas owned by Double M Warhorse Ranch. 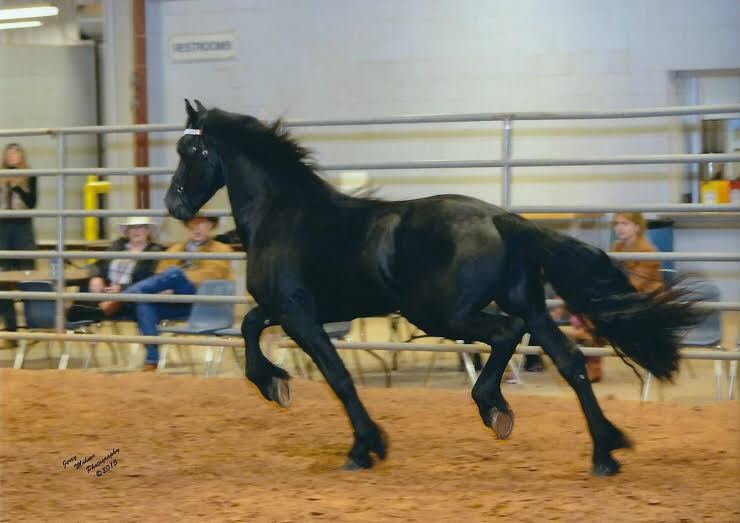 Klaas is a 17 hands plus upcoming 5 year old Black Flashy Stallion, Correct Hocks, Great Topline, wonderful Temperament and Show stopper in Liberty Class. He has the height and thick built to make that wonderful cart or riding horse. Babies are Big, Correct and Easy to Train. 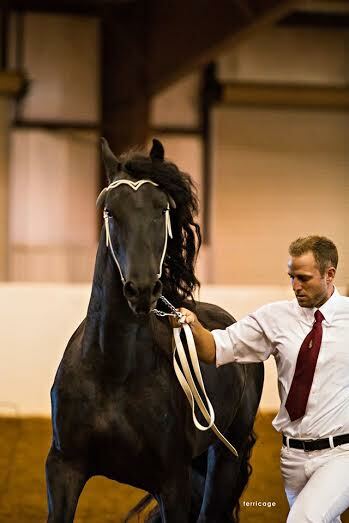 Current 2015 accomplishments include, Friesian Sporthorse Assoc. Overall 2015 High Point Champion at the Texas Inspection, also was awarded 6th place overall World Champion including Australia. 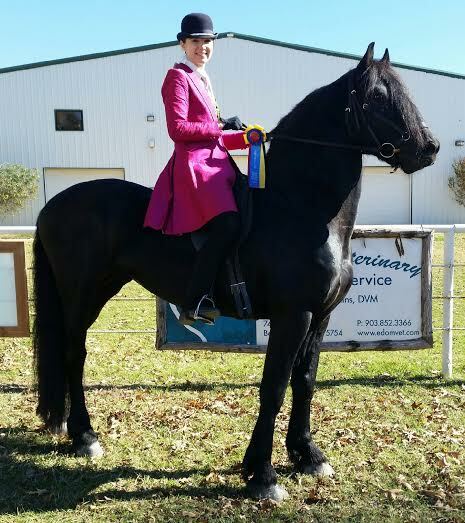 2015 IFSHA ( International Friesian Show Horse Assoc Region 7) Halter, Dressage, and Country Pleasure Hunt Seat Champion. Over Grand Champion Halter Stallion. 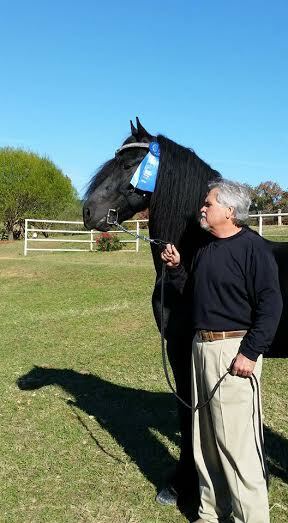 FHC( Feathered Horse Classic ) 2015 Champion Halter Stallion, Champion Dressage Suitability, and 2015 Reserve Champion Performance Stallion. Featured on Gentle Giants April 2016 Show.